In 2014, award-winning journalist Reni Eddo-Lodge wrote about her frustration with the way that discussions of race and racism in Britain were being led by those who weren’t affected by it. 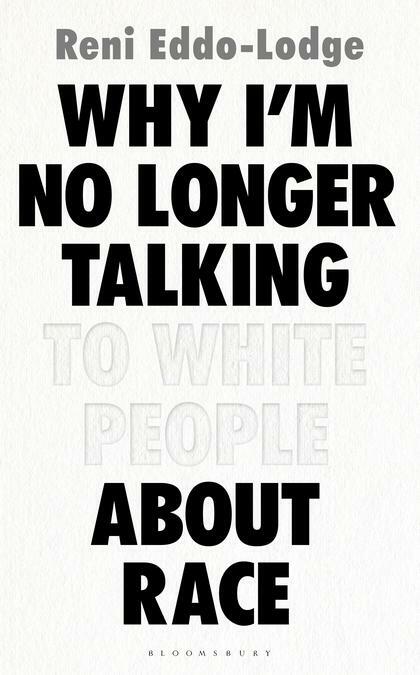 She posted a piece on her blog, entitled: ‘Why I’m No Longer Talking to White People About Race’. Her words hit a nerve. The post went viral and comments flooded in from others desperate to speak up about their own experiences. Galvanised by this clear hunger for open discussion, she decided to dig into the source of these feelings. Exploring issues from eradicated black history to the political purpose of white dominance, whitewashed feminism to the inextricable link between class and race, Reni Eddo-Lodge offers a timely and essential new framework for how to see, acknowledge and counter racism. It is a searing, illuminating, absolutely necessary exploration of what it is to be a person of colour in Britain today.